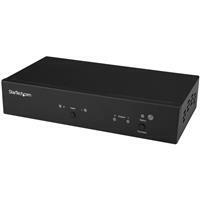 This HDBaseT™ repeater lets you add another HDMI® display to your existing ST121HDBTE or ST121HDBTPW HDBaseT extender kit. This makes it easy to expand your digital signage system to meet the growing needs of your business. The repeater receives the HDBaseT signal from your transmitter and deploys it to the receiver up to 70 m away while outputting the HDBaseT signal to an HDMI display at the repeater's location. 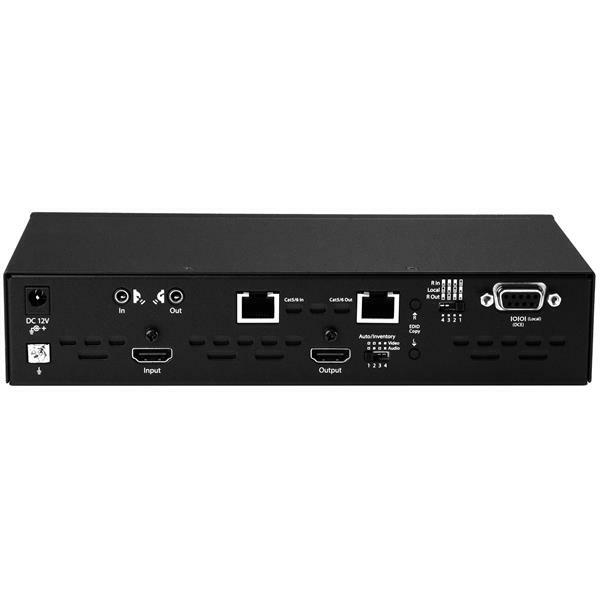 The repeater also enables you to add an HDMI source at the repeater’s location and switch between sources at each of your connected HDMI or HDBaseT displays. 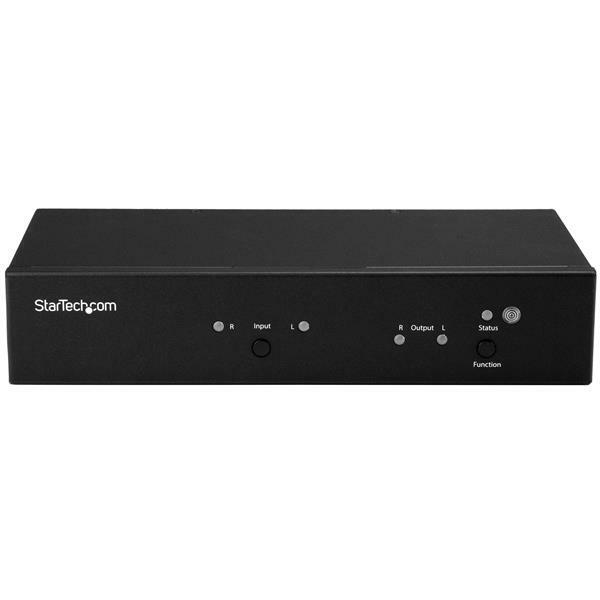 The repeater connects between your existing HDBaseT transmitter and receiver, enabling you to connect an HDMI display to the repeater, then daisy-chain the HDBaseT signal to an additional location up to 230 ft. (70 m) away. The repeater also features an HDMI input that lets you connect a different HDMI video source at the repeater and then switch between which source is output to the receiver. 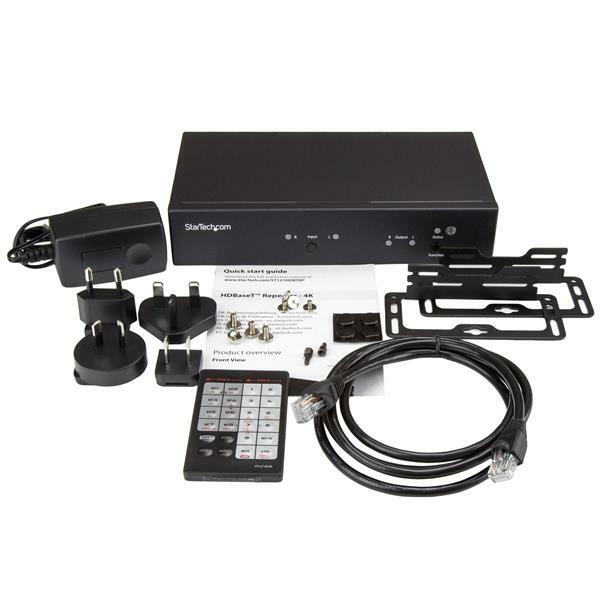 For additional flexibility, you can add up to three HDBaseT repeaters to an ST121HDBTE or ST121HDBTPW extender kit. Using multiple repeaters (sold separately) you can run an HDBaseT signal to a total of four locations, which provides the ideal solution for routing digital signage through large buildings such as shopping centers, stadiums, schools, or hospitals. The HDBaseT repeater includes hardware for mounting it out of sight on a wall or in an equipment rack. This helps to reduce clutter and ensures a professional installation that doesn't draw your viewers' attention away from the content on your display -- perfect for customer facing displays in bars or restaurants. With the A/V industry quickly adopting 4K as the new high-resolution video standard, long-range video distribution can be difficult, given the distance limitations of standard HDMI cables. With support for 4K, you’ll be amazed at how HDBaseT maintains your Ultra HD picture quality -- four times the resolution of high-definition 1080p, even at 130 feet away from your video source. Because the extender is backward compatible with High-Definition 1080p and lower resolutions at 230 feet away, you can comfortably use this extender to make any video source look great, while future-proofing your setup for 4K implementation. HDBaseT is a standardized, zero-latency, video distribution technology that’s revolutionizing HDMI distribution. HDBaseT uses an advanced method of modulation that enables you to distribute uncompressed HDMI audio and video along with additional signals, over a single Ethernet cable. Offering greater versatility than traditional HDMI extenders and longer distances than HDMI cables alone, HDBaseT is the clear choice for every integrator and system designer, because it can do so much, with just a single cable. 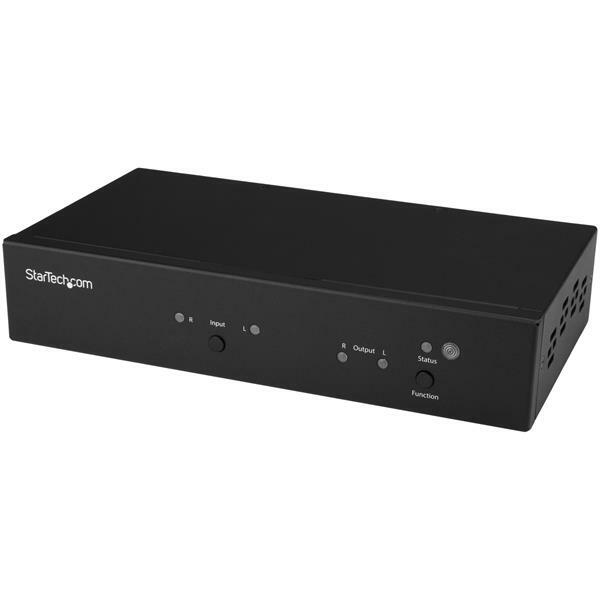 The ST121HDBTRP is backed by a 2-year StarTech.com warranty and free lifetime technical support.